We explored several bakeries. Some were astronomically expensive, especially for not specializing in gluten-free; others were temptingly cheap but the tastings were disappointing. 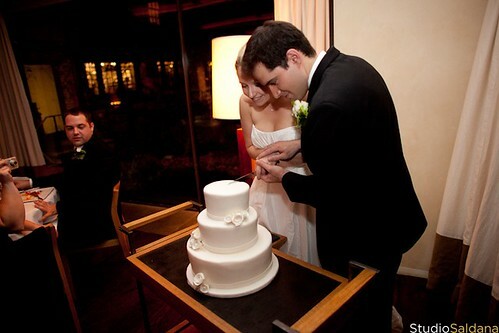 For a while, I considered making our cake myself, so that we could save a few bucks and control the quality. Then I took a moment, remembered that I’m not Superwoman, and decided that taking on such a thing would be one more stressor than I really needed. So, we checked with our favorite shop in the city: Tu-lu’s Bakery. Their cupcakes are moist and springy, and the open, airy crumb manages to have a sort of heft to it that makes them extremely satisfying. And don’t even get me started on their frostings—thick, creamy, rich, but not overly sweet. If I’m ever running errands around Union Square or the Village, I try to make my way east to pick a few cupcakes to bring home for dessert. The owner of the bakery, Tully, enthusiastically responded that they would love to do our cake, and, after a tasting and some detail ironing, we made it official. Both she and pastry chef Courtney were so lovely to work with. They listened to my suggestions and were totally on board when I bought my second dress and pitched a redesign. And the cake? It looked beautiful and it tasted even better. 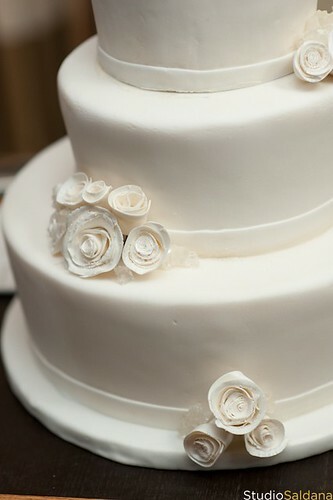 We went with a vanilla cake filled with their chocolate-almond buttercream, covered in vanilla buttercream and fondant. It was moist and tender, with a burst of decadence from the almond flavoring. Our guests all sang its praises. It was good. It was damn good. And not just for gluten-free. I am currently navigating the GF wedding cake world. I LOVE Tu-lu's but was concerned that it would be too expensive and difficult to transport(I'm getting married in Rochester). Any thoughts or advice? Congrats on your upcoming wedding! 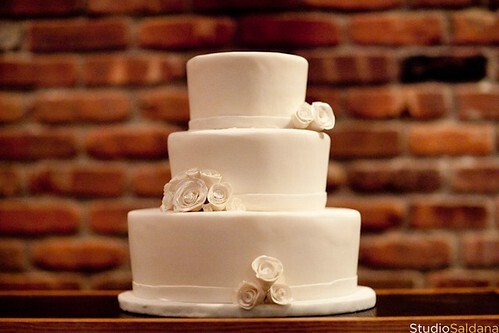 :)The world of GF wedding cakes is definitely a tough one to navigate. As far as pricing, Tu-Lu's was not our most or least expensive option–much depends on the size of your guest list and budget, though. Also, since wedding cakes are not their primary business (I got the impression that we may have been their first), I don't know exactly how far they will deliver. Tully is super nice, so it couldn't hurt to at least get in touch.The best advice I can give, though, is to call around or e-mail all of the local(ish) bakeries that offer gluten-free, find out pricing and delivery fees, and then go for some tastings at the bakeries that fit in your budget. Many places will be willing to work with you a bit on pricing or offer you some money-saving options if you let them know what your needs are. Good luck–this is such an exciting time! Please always feel free to e-mail me if you have more questions or want more specific answers. Thank you!With your encouragement, I think I'll get in touch with Tully. They are my favorite gluten-free bakery and I'd feel bad if I didn't try.